Jenny Moon Tucker is a musician and painter in Baltimore MD. 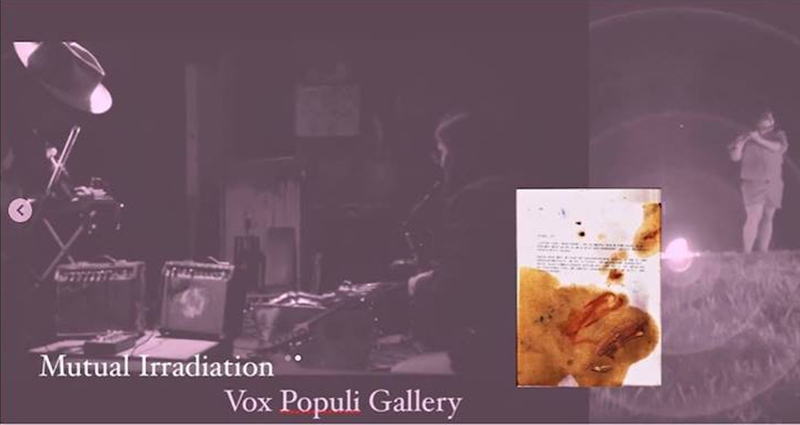 With a background in writing and and improvised-freeform-spontaneous music, she uses painting and visualization to further develop and understand creative processes and states. Tucker seeks to suspend judgement and explore trust in order to transcend our limitations imposed by self and society. As a Sound Explorer she utilizes an ever changing palette of sound-vision elucidators, including percussion, tape, reeds, strings, voice, and electronics. She was a participant in the 2016 High Zero festival, playing saxophones. She has performed and recorded music in Pony Moon and Twilight Memories of the Three Suns, as well as collaborating with members of the Creative Music Workshop Players, and Eyedrum’s Invent Room Pop Improv series in Atlanta GA.